Sam Clovis is President Trump's choice for USDA's top scientist. This photo is from his 2014 campaign for U.S. Senate in the Iowa Repubilcan primary. As President Donald Trump continues to fill political appointments, his nomination for the top science job at the U.S. Department of Agriculture is raising unique concerns. Trump has chosen Iowan Sam Clovis to be undersecretary of agriculture for research, education and economics. Clovis served as a fighter pilot in the Air Force, has a doctorate in public administration, and taught economics at Morningside College in Sioux City. Sioux City is also where he gained a following as a conservative talk show host. Kathie Obradovich, a political columnist at the Des Moines Register, says the radio show gave Clovis name recognition that helped launch his campaign for the Republican nomination for U.S. Senate in 2014. During the race, his personality grabbed wider attention. He lost, coming in a distant second to Joni Ernst, who went on to win the general election. Clovis then ran for state treasurer that fall, and lost that bid, too. But then, Obradovich says, the self-deprecating candidate noticed a curious thing. “He joked that he's the only guy he knows who has lost two elections in a period of four months and had his political stock rise,” Obradovich says. Once Trump was pushing hard for the Republican presidential nomination, Clovis jumped on board. He ran the Trump campaign in Iowa and was named to the candidate’s list of agricultural advisors. After the election, Clovis landed at USDA as part of the White House transition team. Political observers see his nomination to undersecretary as payback for his loyalty to Trump, but here’s the rub: he’s not a scientist. “Sam Clovis, regardless of all of his other merits, does not fulfill the basic requirements that are stipulated,” says Ricardo Salvador, director of the food and environment program at the Union of Concerned Scientists and himself a former Iowan with a doctorate in crop production. Salvador recognizes that the description is broad and he accepts the argument that Clovis could fit under the economics category. But Salvador says Clovis has not distinguished himself in a relevant field. And he’s on record questioning what is largely considered settled science. “Mr. Clovis has actually expressed open skepticism about fundamental scientific issues that have a direct bearing on the quality of decisions he might be called upon to make, actually would be called upon to make,” Salvador says, referring to climate change. During the 2014 Senate campaign, Clovis was asked whether he believed the science on climate change. 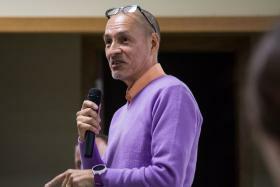 Salvador says such a person should not be leading a $3 billion agency that funds, among many other programs, a network of regional climate hubs working to help farmers and ranchers face the impacts of climate change. “Climate change is a very real phenomenon that farmers have to deal with,” Salvador says. Senate Democrats including the ranking member of the Agriculture Committee, Debbie Stabenow of Michigan, have expressed concern about Clovis’ qualifications. Sen. Michael Bennett, Democrat from Colorado, also serves on the agriculture committee and recently told a reporter he didn’t know what influence Clovis would have on climate research. But Bennett himself is committed to USDA’s research funding. “We are fighting extremely hard to preserve the research dollars in our department of agriculture budget,” Bennett says, noting Agriculture Secretary Sonny Perdue has expressed support for research. The USDA is a sprawling department and Clovis would lead an agency filled with career civil servants and seasoned scientists from many disciplines. Obradovich, the Register columnist, says Clovis does have relevant leadership experience and showed during his Senate campaign an ability to school himself on important issues. Clovis’ nomination drew a support letter from nearly two dozen farm and commodity groups. In contrast, another of Trump’s USDA picks, Stephen Censky, got the endorsement of more than 100 such groups. 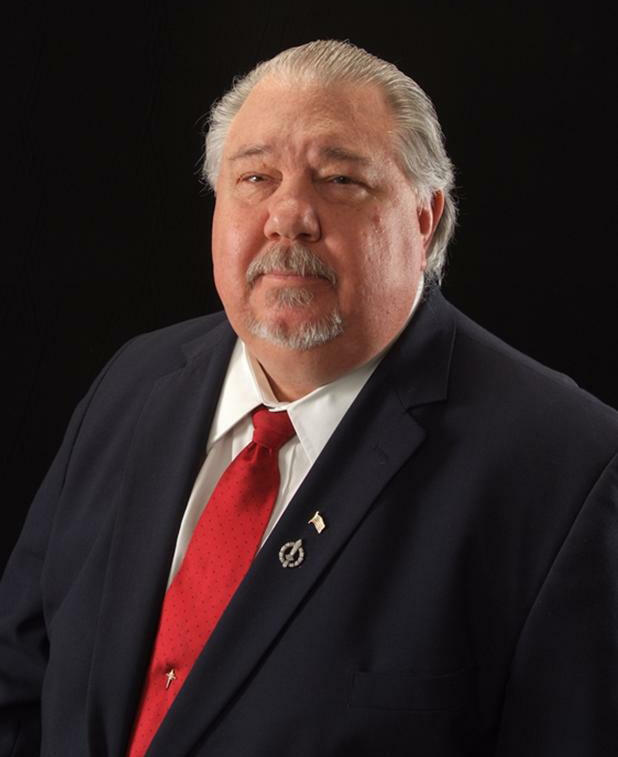 A date for Clovis’ Senate confirmation hearing has not yet been made public.